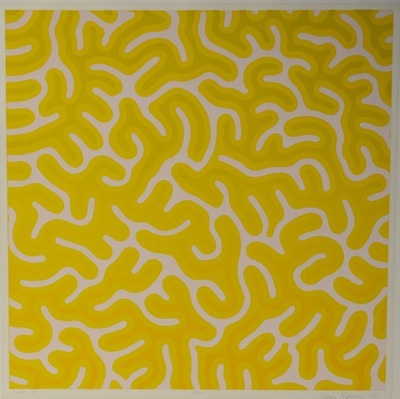 George Roland received his Master of Fine Arts in Painting and Printmaking at the University of Wisconsin-Madison in 1972, one year after he created Zihre II. He was a Professor of Art from 1979 to 2014 at Allegheny College in Meadville, Pennsylvania. He is currently retired but occasionally guest lectures at universities. Roland’s professional background is in printmaking and painting. 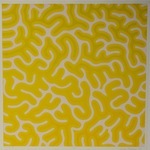 The large majority of Roland’s art includes abstract forms and vibrant colors. Zither II is no exception and also compliments the popularity of colorful art in the 1970s. The abstract art movement of the era accentuated a departure from reality and the works often bore no resemblance to external, tangible objects.